Some clouds. A stray shower or thunderstorm is possible. Low 37F. Winds W at 5 to 10 mph.. Some clouds. A stray shower or thunderstorm is possible. Low 37F. Winds W at 5 to 10 mph. Norman Joe Lastovica, 83, of Howard died April 9, 2019, with family by his side after battling metastatic prostate cancer. The youngest of five children, he was born and raised in Omaha, Nebraska,. A competitive gymnast, he graduated from Doane College, where he was a collegiate athlete in basketball and track. He later earned a master’s degree in business administration at Northeastern University. After college, Mr. Lastovica entered the U.S. Navy and served in the active reserves for 20 years, including as the Boston-based commanding officer, Naval Control of Shipping and Convoy Commodore Units, and as a technical inspector of nuclear weapons, ultimately retiring with the rank of commander. His varied professional career included work in the defense industry in program administration and as director of operations administration (Sanders Associates, Kollsman Instrument), managing an environmental education center (Camp Union), maintenance and business manager at a private high school (High Mowing School) and Tech Resources. Mr. Lastovica and his wife, Janet, raised four children in Milford, New Hampshire, where he maintained a vegetable garden, raspberry and blueberry bushes and fruit trees. In summer, he made peach pie from fruit on the tree he had planted. He loved the outdoors – camping, fishing, hiking and observing wildlife. He was a fly fisherman and tied his own flies. Mr. Lastovica played the trumpet in the Amherst and Temple town bands in New Hampshire. In retirement, Mr. and Mrs. Lastovica moved to Howard, where he was an active member in the community. 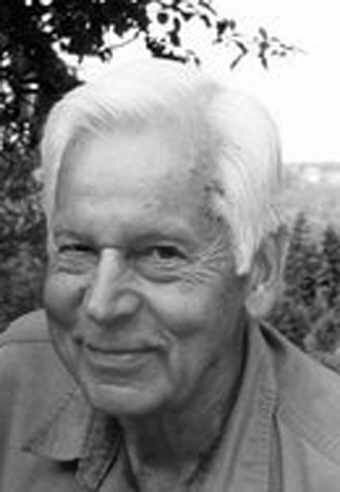 He assisted the Salida High School track program by coaching jumpers, served on the Trout Unlimited board of directors, and supported both the local rural ambulance service and the Howard Volunteer Fire Department. He enjoyed morning coffee at the Howard Fire Station. Special to him in his retirement, family members said, were family camping trips and spending time with his grandchildren fishing, playing Crazy Eights, cribbage and bocce. He was preceded in death by his parents, Frank Lastovica and Helen (Hruska) Lastovica; sister, Frances (Lastovica) Pistello; and brothers Frank and Raymond, all of Omaha. Survivors include his wife of 55 years; children, Norman (Debra) Lastovica, Maria Hansen, Helen Lastovica (Jeff Clark) and Steven (Stephanie) Lastovica; brother Edward Lastovica; grandchildren, Taylor (Morgen) Newill, Nicolaus Hansen, Matthew Hansen, Forrest Clark, William Clark, Amelia Hansen and Corbin Lastovica; four great-grandchildren; and many friends, cousins, sisters-in law, nieces and nephews. A celebration of his life will take place in Howard at a date to be determined. In lieu of flowers, memorial donations may be made to Western Fremont Historical Society, P.O. Box 181, Howard, CO 81233 or to Arkansas Valley Ambulance District, P.O. Box 97, Howard, CO 81233. Arrangements were with Harwood Funeral Home in Florence.